Boulder Nordic Sport is excited to announce that it will again be proving race wax service for the 2019 American Birkebeiner. Why worry about dealing with your waxing equipment, wax testing, and fretting about your skis? Just relax and focus on your race while our World Cup-level technicians take care of making sure your gear is dialed. In 2019, BNS will again be providing convenient ski drop off and pick up options for classic and skate racers. All racers can drop off or ship skis to BNS Midwest in Bloomington, MN any time before 7:00 PM on Wednesday, February 20. Skiers who drop their skis off before 8:00 PM on Tuesday, February 19 at BNS Midwest will receive a $20 BNS gift card. The last chance for ski drop off is at the Birkie Expo in Hayward, WI on Thursday, February 21. The BNS Birkie Race Wax Service is $115 if you sign-up before February 1 (enter code “Birkie” at checkout) and $125 after that. This includes base prep, LF & HF paraffins and pure fluoro topcoats. Classic skis will receive an ironed in binder layer in the kick zone you designate for a $25 fee, but we will not wax with the final kick wax layers. We will test kick waxes, provide recommendations, and sell you kick wax if you need it, but you will have to apply it yourself race morning to achieve the best results. Kortelopet skis will receive the same testing data, base prep and HF as the Birkie skis. The race service fee is $55 for LF graphite and HF paraffin. The deadline for Korte ski drop off is also 7:00 PM on Wednesday, February 20. 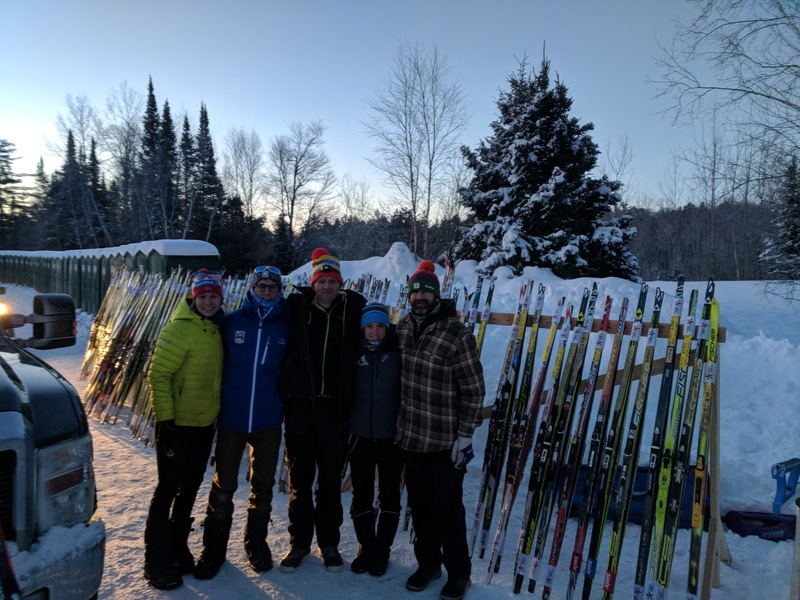 Ski pickup is that the Birkie Expo in Hayward between 6:00 – 8:00 PM on Thursday, February 21. Please deliver skis that are cleaned and scraped. Make sure skis are labeled with: name, cell phone number, the event/distance you are doing, wave number and make sure your classic ski kick zones are clearly marked out. Print out your receipt or take a photo with your phone and bring with you to drop-off. Drop off locations and schedule are subject to change. We will provide more details for our pick-up spot as the event gets closer on our website and Facebook pages. *Please get your skis to BNS Midwest as early as possible, this allows us to do base prep and deliver your skis on time and without stress. Receive a $20 BNS gift card if you drop skis off at our BNS Midwest location before 8:00 PM on Tuesday, February 19. ** Please note there will be no Friday ski drop-off. Skis must be dropped off during the two options above to be waxed for the race. Visit our BNS Midwest location in Bloomington, MN and our BNS/Holmenkol/Ski*Go booth at the Birkebeiner Expo in Hayward, WI to get all your pre-race questions answered. Our expert staff will be on hand to tell you what wax is running fastest and get you set up with any last minute wax, tools and accessories you need for race day. We will post wax updates at our Birkebeiner Expo Booth, on Facebook (@bouldernordic), online at bouldernordic.com, and in-store at our BNS Midwest location. Click here for more information and to sign up for Birkie Race Wax Service.